CLEMSON, S.C. – In the teams’ first meeting since 2012, the No. 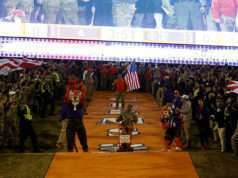 2/2 Clemson Tigers emerged victorious over the RV/RV Duke Blue Devils, 35-6, on Senior Day and Military Appreciation Day at Memorial Stadium. 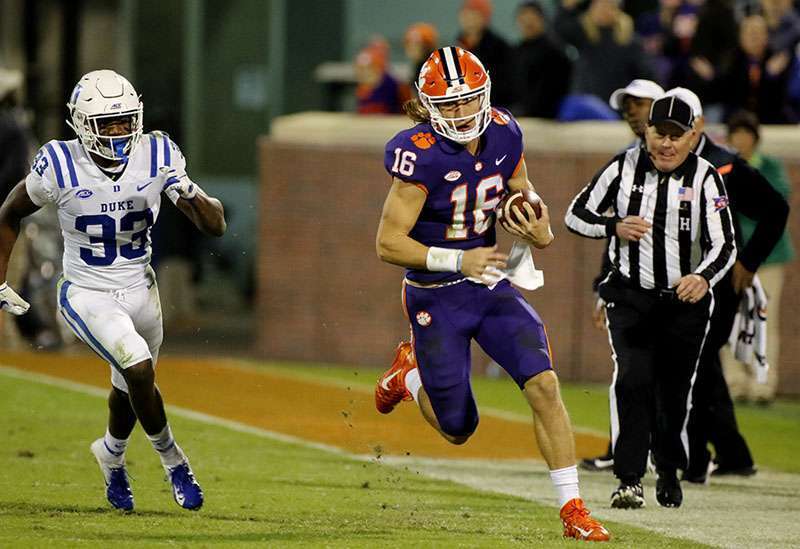 With the win, Clemson remained undefeated at 11-0 overall and wrapped up ACC play at 8-0, while Duke moved to 7-4 overall and 3-4 in the conference. Trevor Lawrence completed 21 of 38 pass attempts for 251 yards and two touchdowns, and his favorite target was Justyn Ross, who amassed 76 yards with a score on four receptions. Travis Etienne added 81 yards and two touchdowns in nine carries on the ground. Leading the defensive effort was Clelin Ferrell, who had a team-high two-and-a-half tackles for loss and two of the Tigers’ four sacks, pushing him into double-digit figures for sacks this season. Neither team found the endzone for the first 11 minutes of the game, and it was Duke that got on the board first on a 34-yard field goal. A second field goal, this one from 32 yards, gave the Blue Devils a 6-0 lead as the first quarter was expiring, but that ultimately proved to be the last of the Duke scoring for the night. Clemson took a 7-6 lead with just over two minutes gone in the second quarter, when Tavien Feaster rushed for a two-yard score, capping a drive highlighted by a Ross 41-yard reception the play before. Ross also hauled in a 19-yard touchdown pass from Lawrence with a minute left in the first half, bringing the score to 14-6 at the break. 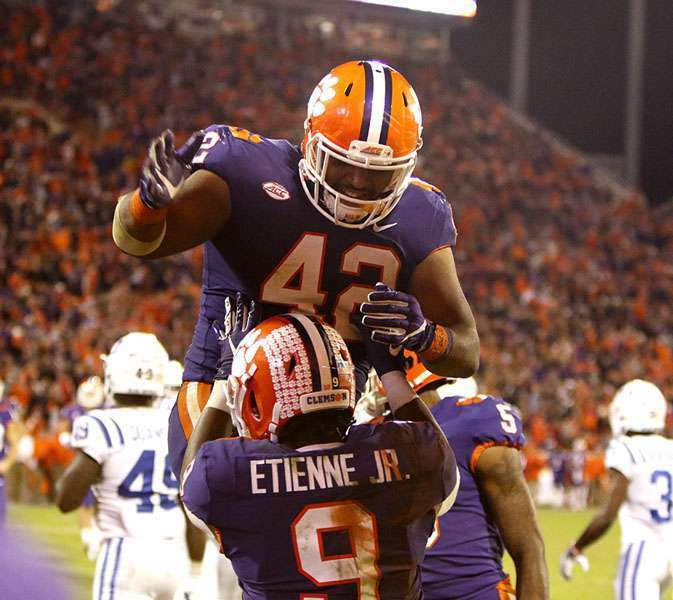 Etienne broke away for both of the third quarter’s touchdowns, the first a 27-yard run with 12:25 remaining in the quarter, and the second a 29-yard rush with 4:20 left that put the Tigers up 28-6 heading into the final 15 minutes. The fourth quarter saw Lawrence connect with T.J. Chase on a 10-yard scoring pass, bringing the score to the final of 35-6. The Tigers conclude their 2018 regular season slate when they host South Carolina next Saturday Memorial Stadium. 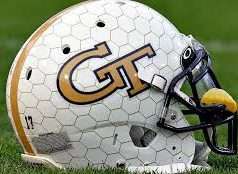 Kickoff against the Gamecocks is set for 7 p.m.